What is EAP? How can I teach Academic English at University? Teaching EAP / what is EAP? What is English for Academic Purposes (EAP)? How can I become an EAP Teacher? What qualifications do I need to be an EAP teacher? Where can I find jobs in EAP? All of these questions are answered in this article. What types of courses are run? 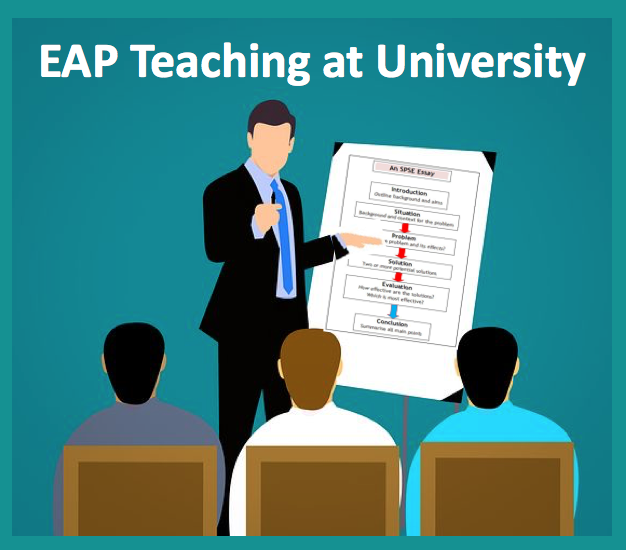 Many universities have an EAP teaching department. Once it was part of the University but now many are partnerships with companies such as INTO, Kaplan and Study Group who are specialists in marketing to overseas students and dealing with agents. Courses tend to run throughout the year with nine-month courses starting in September and January, and shorter 6/10/12 week courses in the summer. There are many different types of 9-month courses and each university has its own programme name. For example, one such course is known as English for University Study (EUS) which is aimed at low level learners. Another course is called ‘Foundation’ which is aimed at students wishing to do an undergraduate degree. There are also programmes which are equivalent to the first year of a degree and year-long programmes for graduates for students who wish to go on to study a Master’s. Other students who perhaps already have adequate subject knowledge but inadequate level of English, there are also summer Pre-sessional courses ranging from 6-12 weeks from June to September. Disclaimer: not all universities run these types of courses and/or may call them different names. 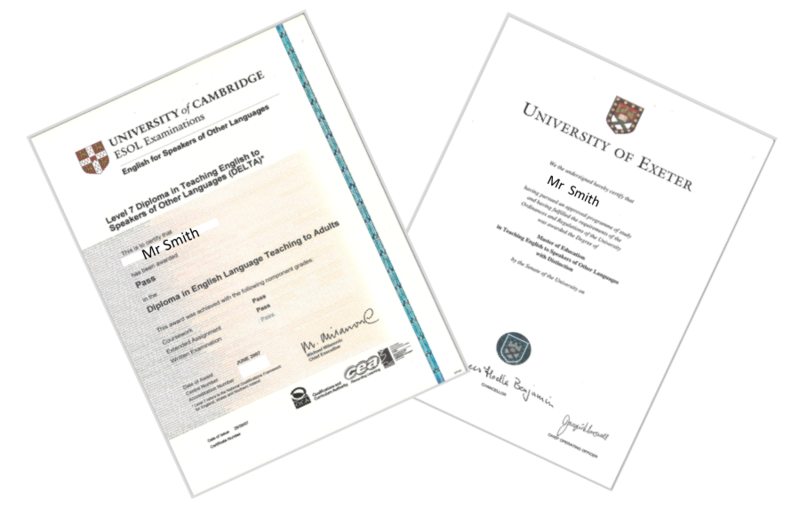 To teach on these courses you ideally need a Diploma English teaching qualification (Trinity Diploma or Cambridge DELTA) and/or a Masters in TESOL / Applied Linguistics. However, there are some exceptions with a few pre-sessional courses that will take teachers with just a CELTA and four years’ experience as long as you know what EAP is and can sell yourself in the interview. A good place to start is look at all the information on www.academic-englishuk.com. Teaching on these courses is quite demanding in terms of planning and marking. On the nine-month courses the semesters tend to be very busy mid-way through and at the end due to testing and assessment. The lessons are very much skills based with emphasis on university life, so teaching includes research, reading and writing, listening to lectures and speaking skills of presentations and seminars. The students are usually quite serious and motivated because the courses are incredibly high stakes and not cheap at around £17,500 for 9 months. In turn this places pressure on the teacher to provide top quality education. Saying all that, it is intellectually challenging with interesting topics and it is very rewarding to see your students graduate. Of course, the salary is good too with the year round courses paying around £28,000 and pre-sessional courses paying between £650 – £850 per week, which also includes, in some universities, free accommodation. How do I work in EAP? My advice is to start with a pre-sessional course in the summer. Many universities start to advertise as early as January. Do your background (www.Academic-Englishuk.com) and learn about key areas of EAP teaching before the interview, i.e. how is EAP different than EFL? What are the key areas to teach in academic writing? What is a topic sentence? What is Academic style? How would you teach paraphrasing? What problems would a Chinese learner have in a UK university?